This week Netflix has released a new trailer for its upcoming new TV series in the form of a Carmen Sandiego reboot, which follows the adventures of Carmen Sandiego, a globe-hopping master thief and stars Gina Rodriguez, Abby Trott and Finn Wolfhard. Carmen Sandiego will premiere via the Netflix streaming service just over a week’s time starting on January 18th, 2018. “A master thief who uses her skills for good, Carmen Sandiego travels the world foiling V.I.L.E.’s evil plans — with help from her savvy sidekicks. Everybody asks “WHERE is Carmen Sandiego?”, but nobody asks “WHO is Carmen Sandiego?” The iconic woman in red returns for new international capers and a peek into her past. Featuring Gina Rodriguez as Carmen and Finn Wolfhard as Player.“ Check out the latest trailer below to whet your appetite for what you can expect from the new animated TV series. 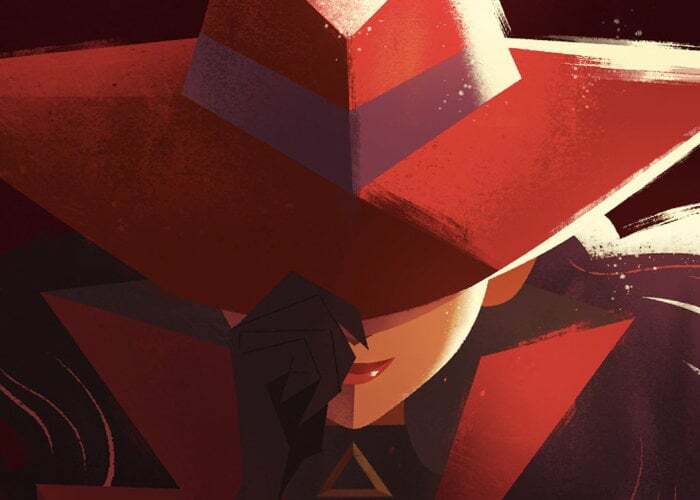 Carmen Sandiego is an animated reboot based on the popular TV series and video games, for more information jump over to the official Netflix website by following the link below.